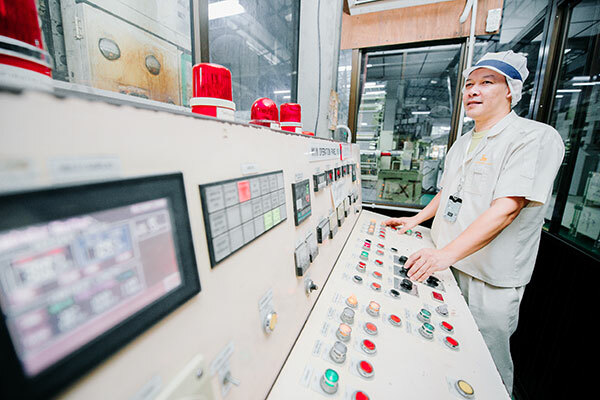 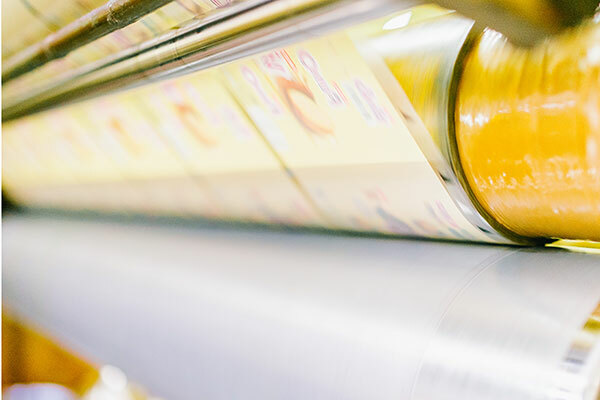 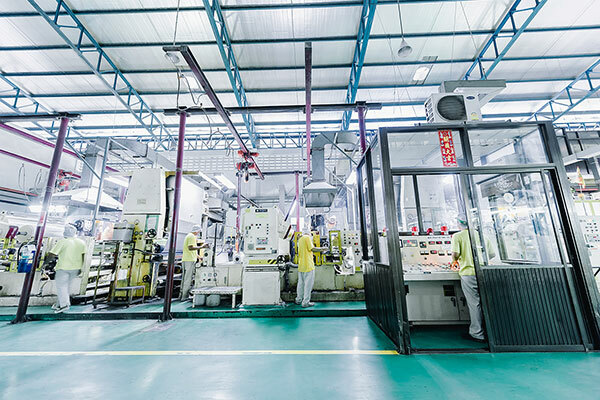 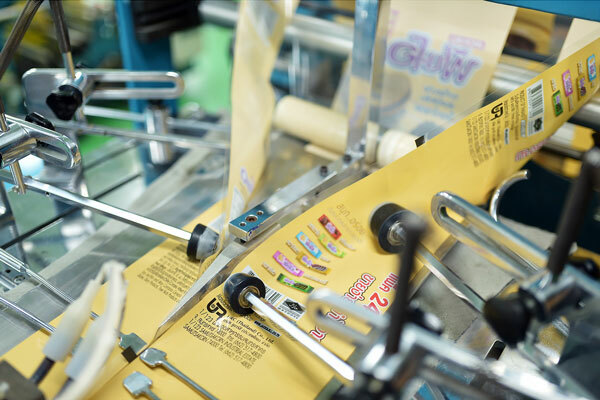 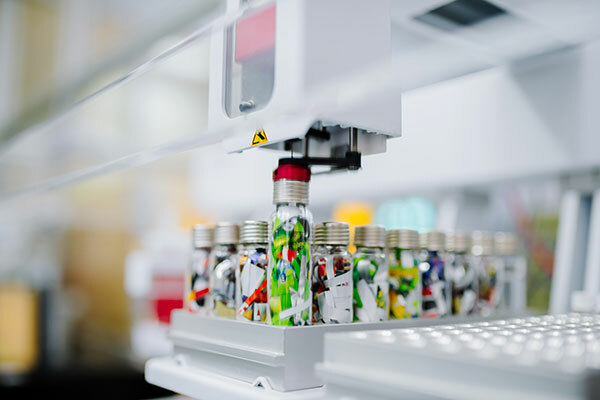 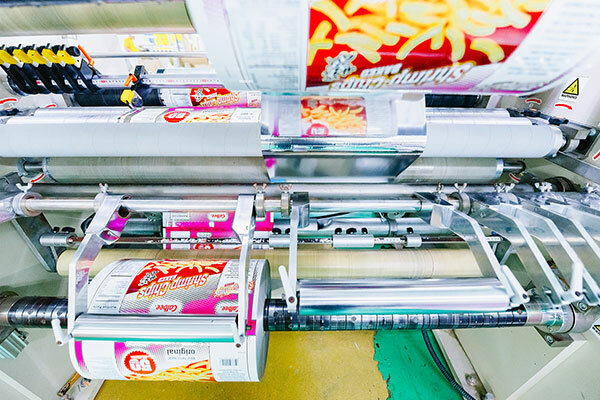 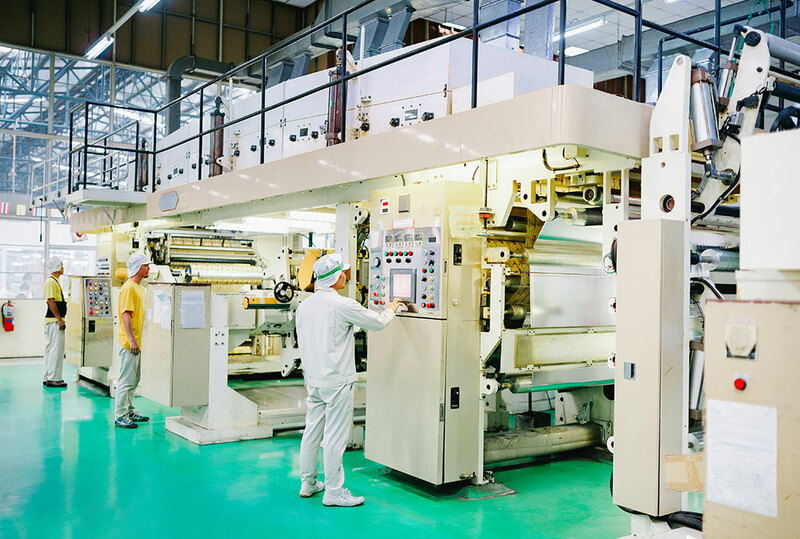 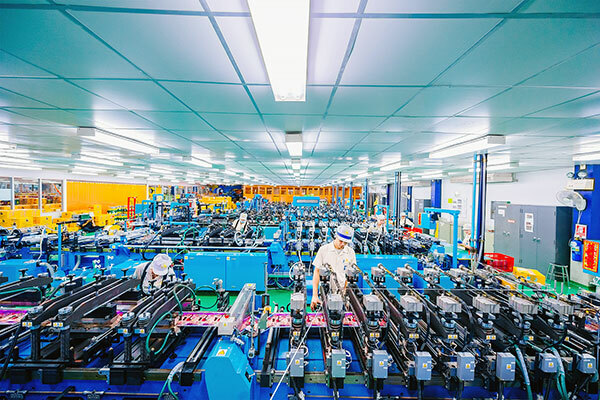 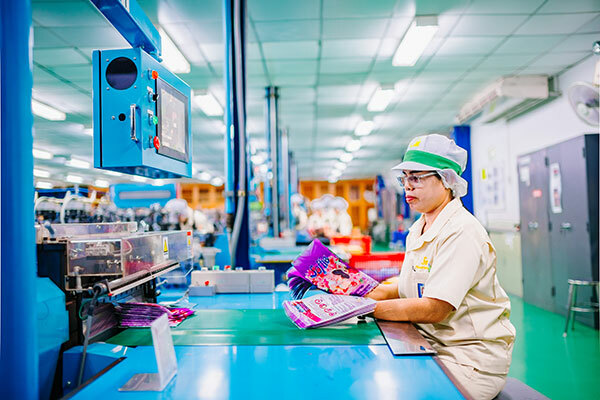 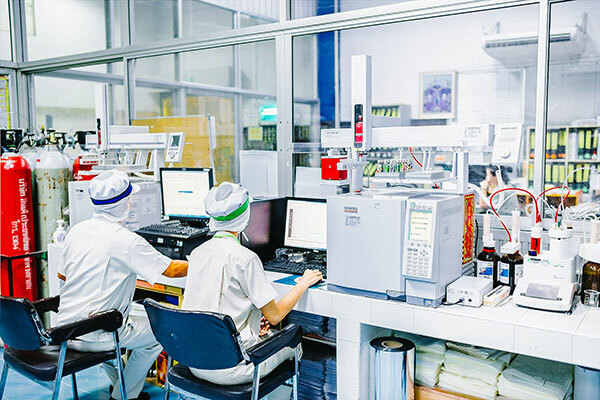 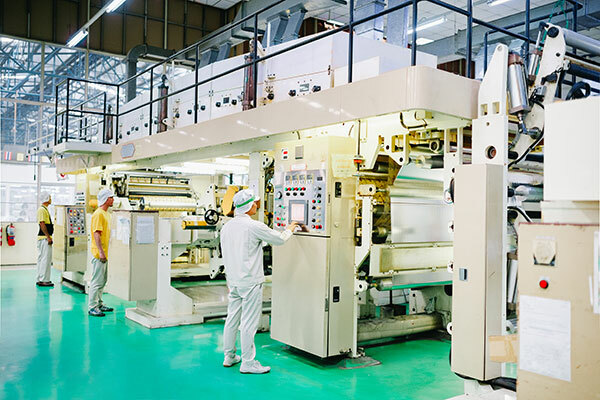 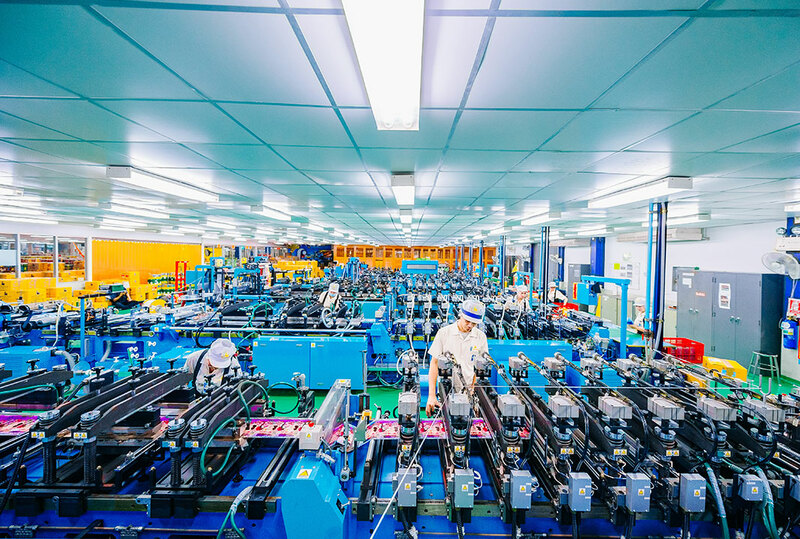 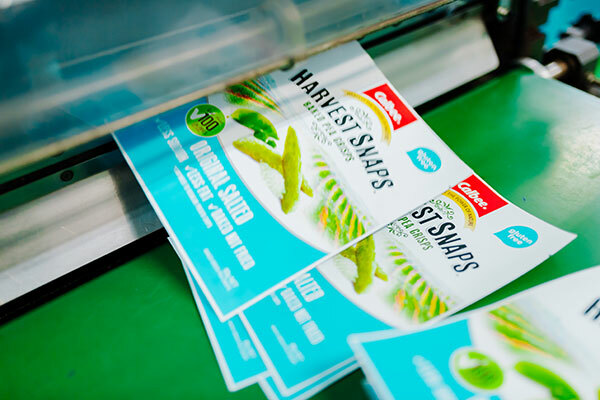 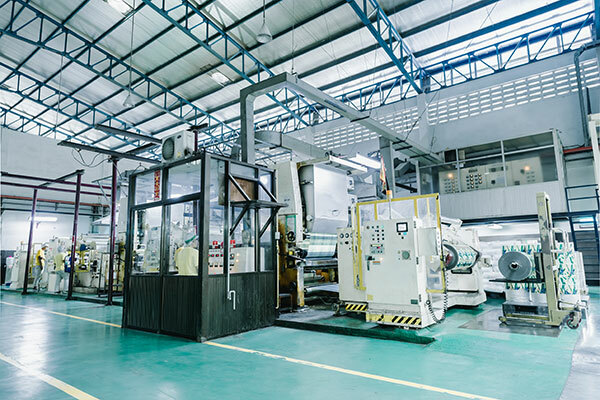 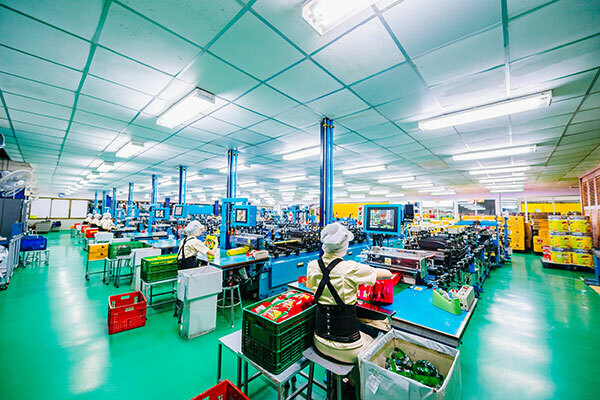 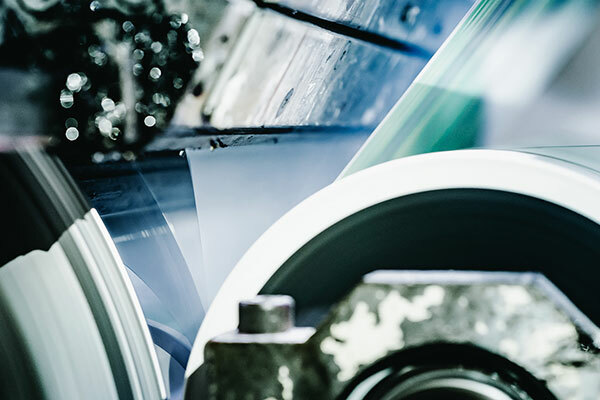 MANUFACTURING AND QUALITY CONTROL | FILM MASTER CO., LTD.
Film Master uses the rotogravure system to produce the highest printing quality for the flexible packaging. 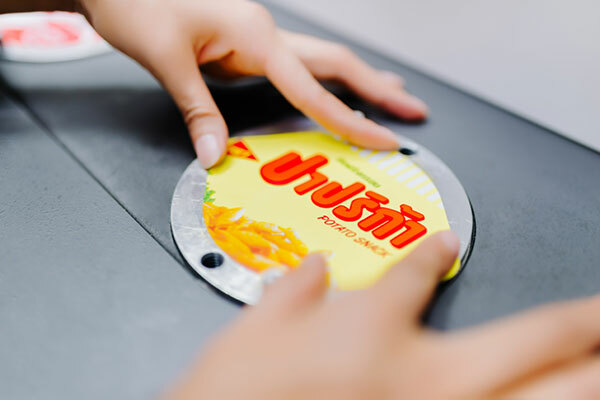 This computerised system prints up to 9 colors with perfect precision and clarity. 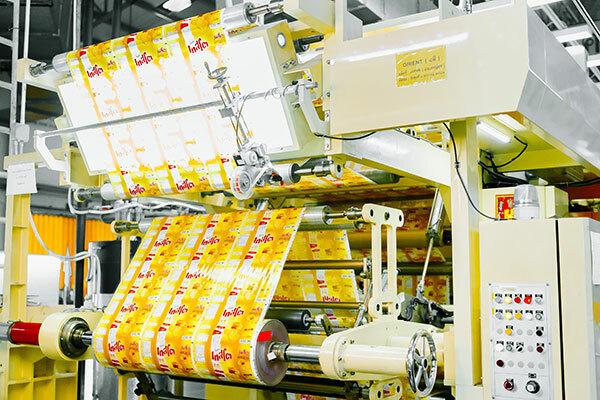 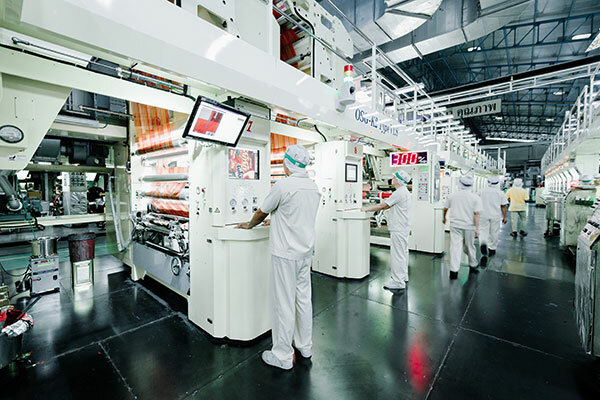 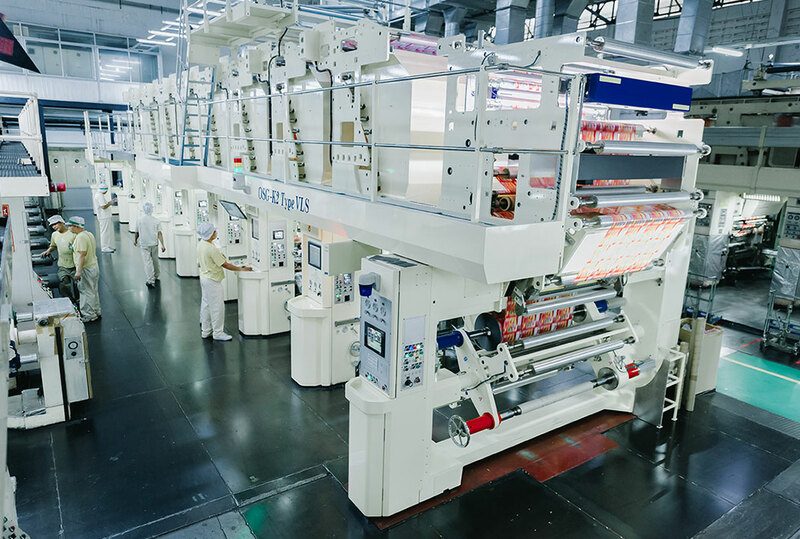 Recognized as the leader in printing of flexible packaging, Film Master is able to meet the demands of both large and small customers for top quality production. 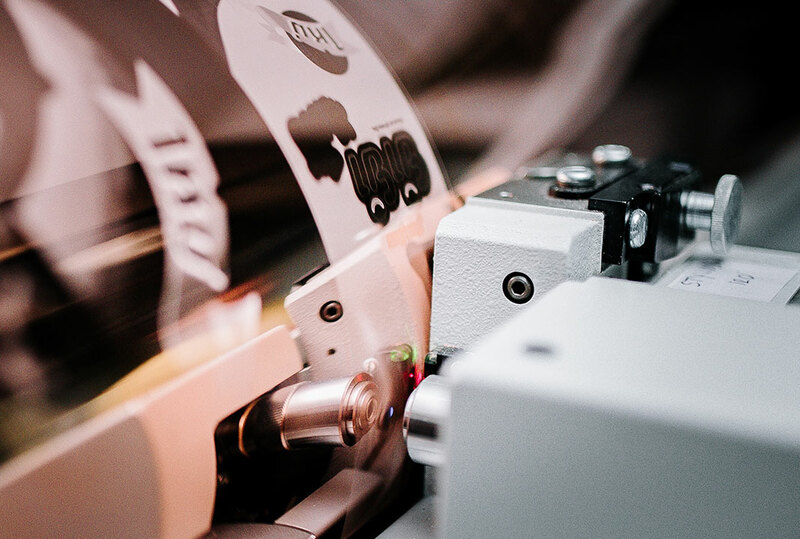 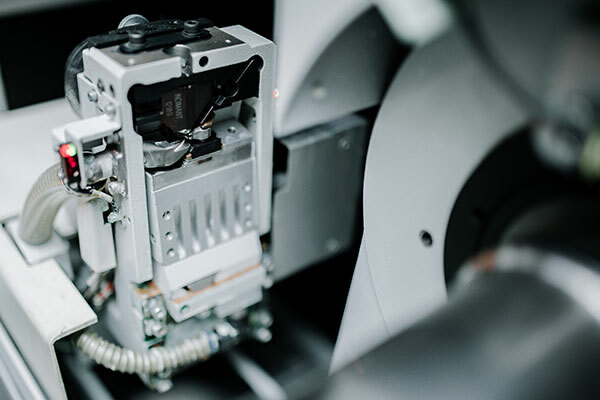 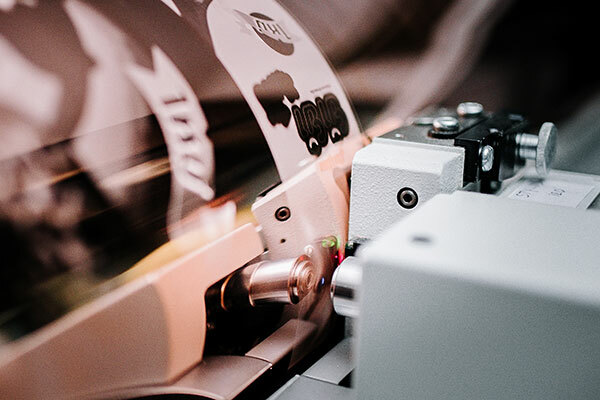 Currently, Film Master employs 5 printing machines: one 7-color, three 8-color and one 9-color. 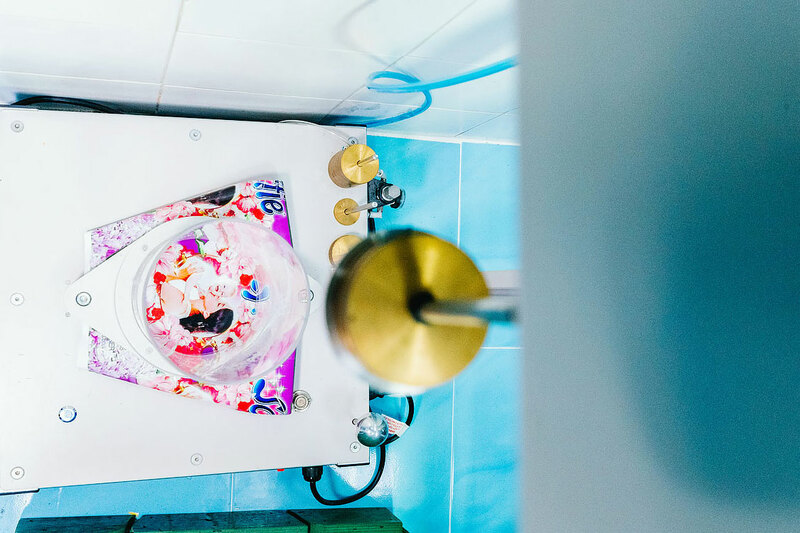 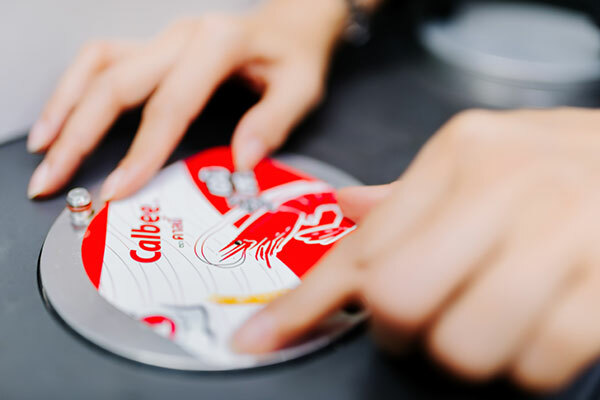 Received artwork from customers, whether it is in CD or digital file, we start the color separation procedure according to the number of colors to be printed. 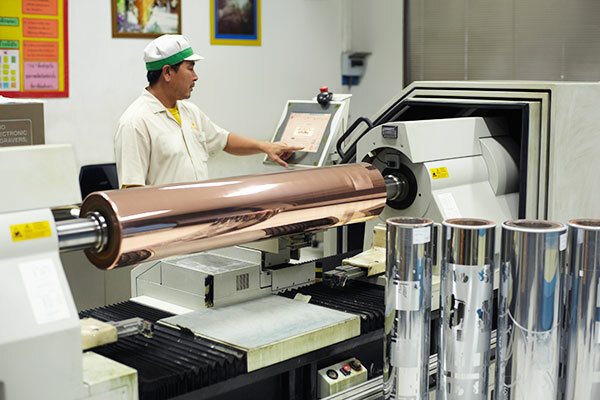 The metal cylinder with copper-plated is placed onto the engraving machine where a diamond head tool engraves the cylinder according to the color separation or file artwork. 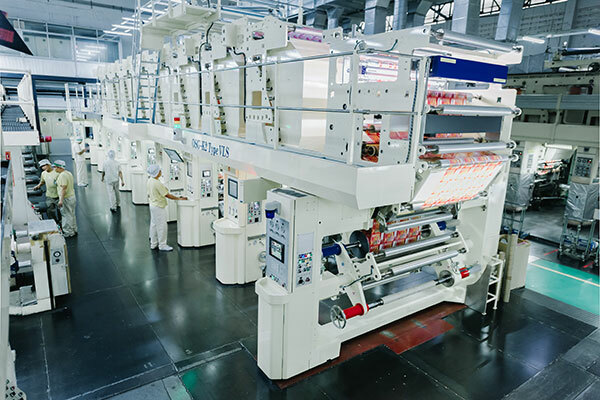 Then, it is proceeded to hard chrome processing in order to harden its surface. 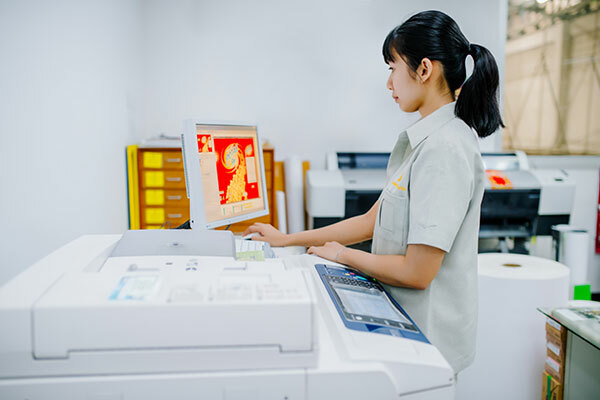 The machines of latest technology with computerised system print upto 9 colors with perfect precision and clarity. 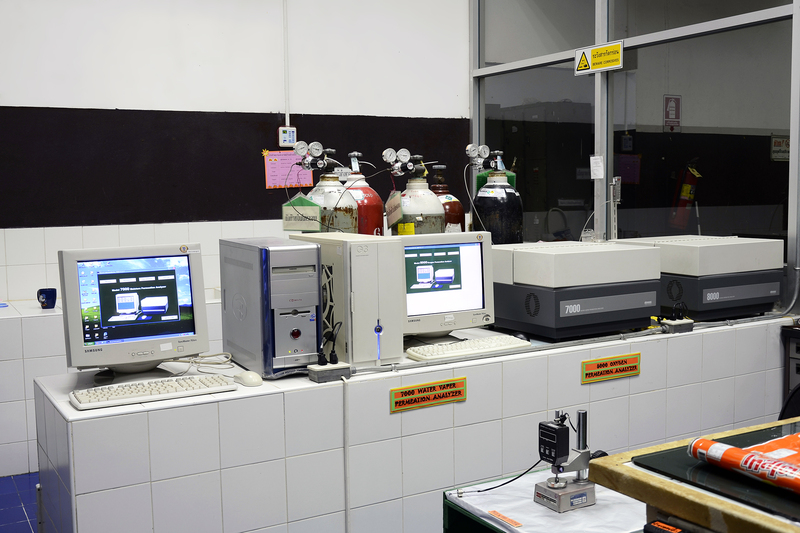 Layer of materials are bonded together with adhesive by solvent base or solvent free system. 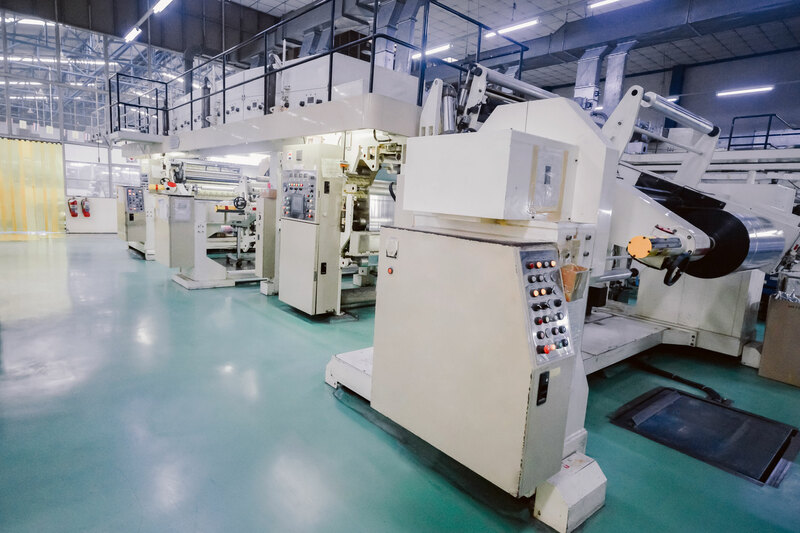 Layer of materials are heat bonded together with specific plastic resin. 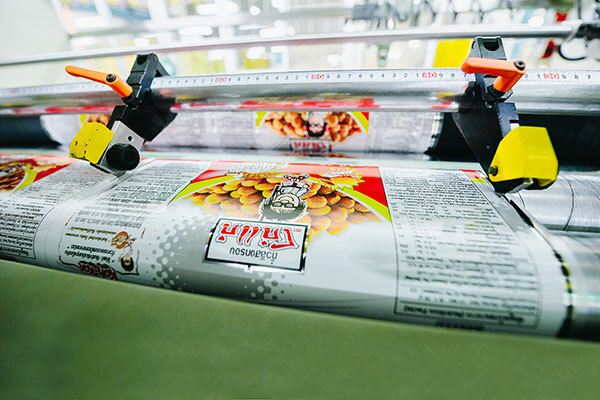 For customers who have their own automatic packaging machines, we slit the rolls size upon the customers requirment. 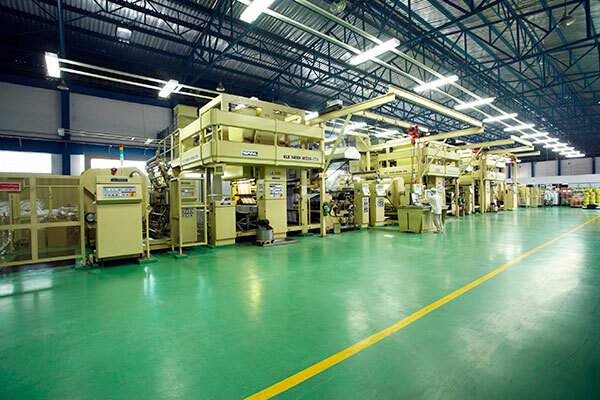 Service of bag making as per size and type by customes specification. 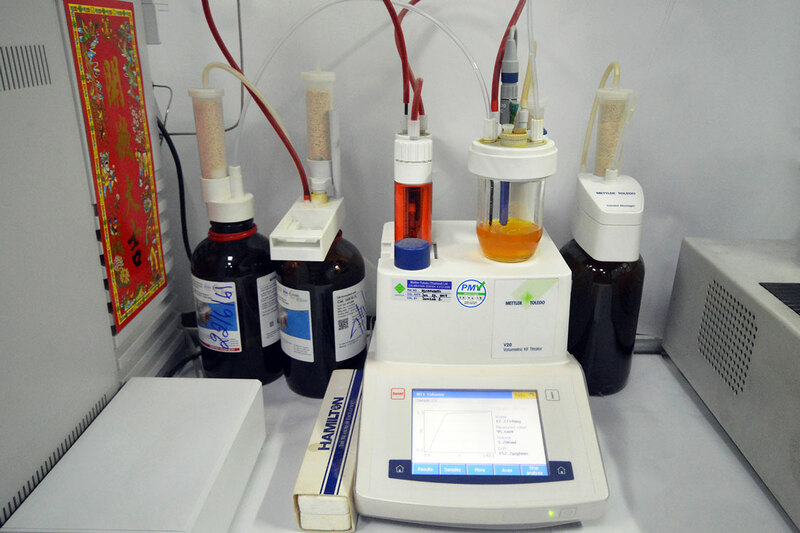 Water-Vapour Transmission Rate (WVTR) and Oxygen Transmission Rate (OTR) analysis are strictly standards equipment. 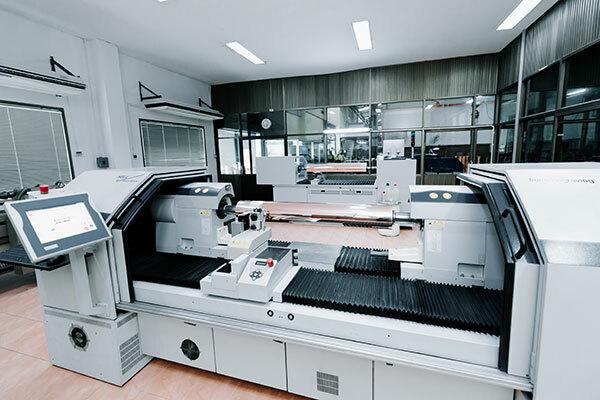 To check tensile strength, bonding strength, heat seal strength and coefficient of friction. 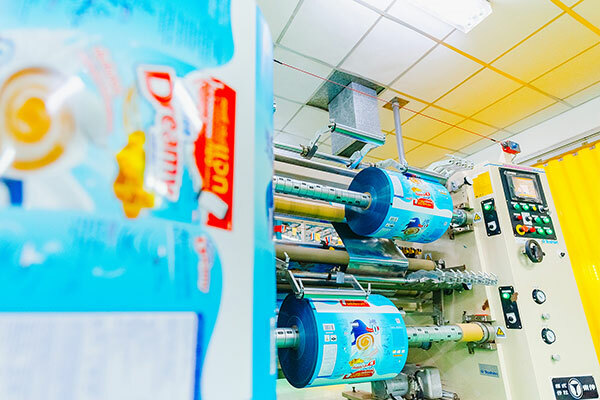 To check for the solvents retention on the printed and laminated film. 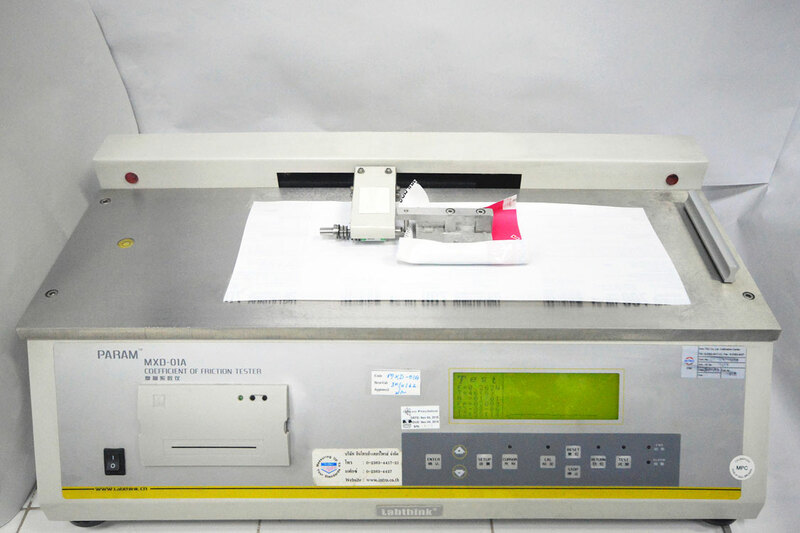 This regular test measures both static and kinetic friction coefficient of plastic film by use of horizontal plane method. 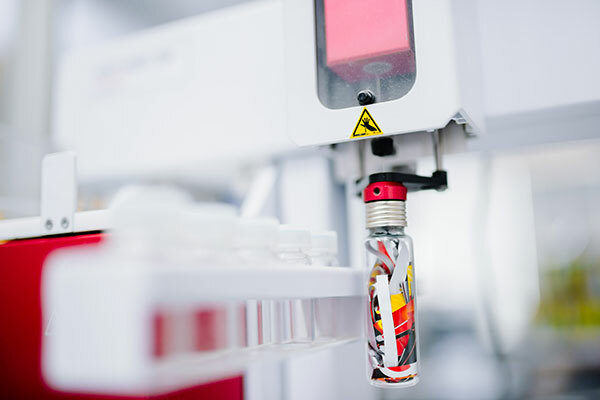 Karl Fischer Titration determines moisture content which define the quality and shelf life. 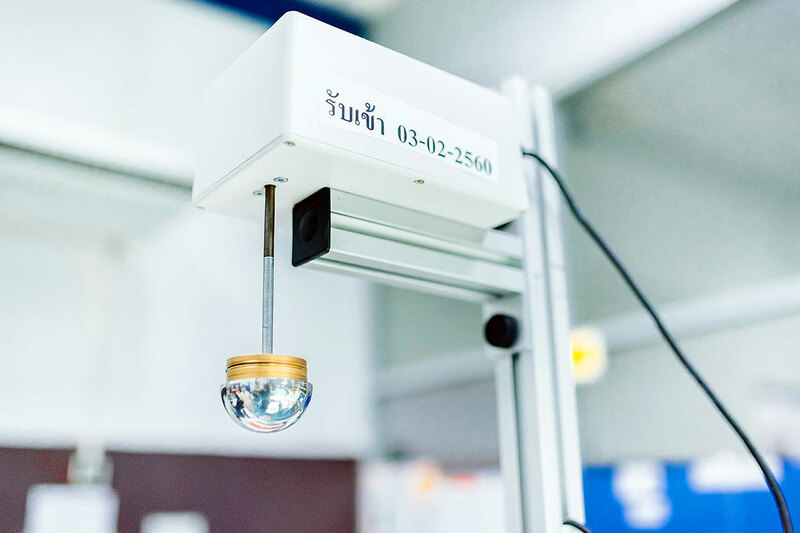 It provides high accuracy and takes only a few minutes. 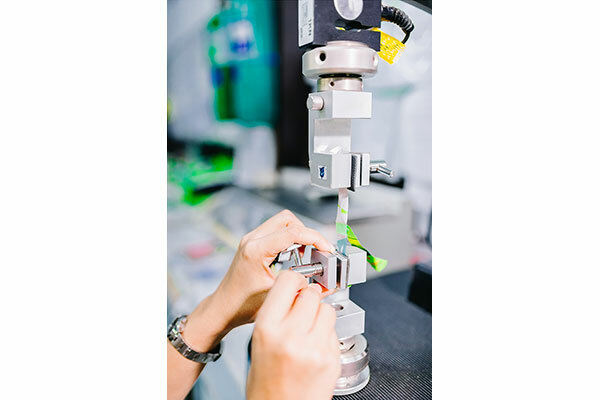 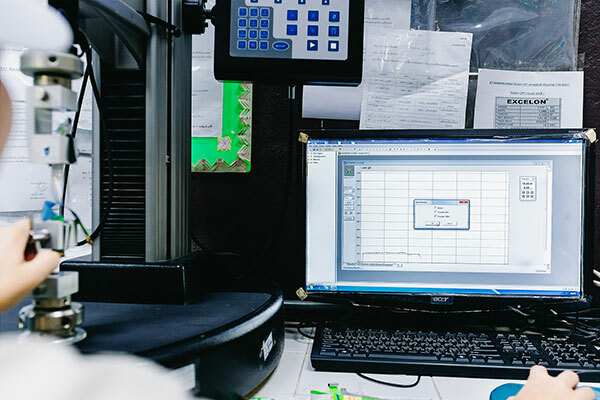 The falling weight test is used to analyse the impact strength and toughness of a plastic film by varying the dart size and drop height of the dart.